Alyssa Ayres, CFR's senior fellow for India, Pakistan, and South Asia, Robert D. Blackwill, CFR's Henry A. Kissinger Senior Fellow for U.S. Foreign Policy, and Stephen P. Cohen, senior fellow at the Brookings Institution, join John D. Negroponte, vice chairman at McLarty Associates, to discuss U.S.-India relations. Following President Obama's recent visit to India and signing of a new joint statement, the panel assesses the U.S.-India bilateral relationship and the possibilities that lie ahead in trade and defense, as well as challenges. NEGROPONTE: So, good afternoon everybody. My name is John Negroponte, I'm vice chairman of McLarty Associates. We have a very, very distinguished panel this afternoon with us to discuss the issue of what to do about U.S.-India relations. Immediately to my right is Stephen P. Cohen, who is a senior fellow for foreign policy at the Brookings Institution, Alyssa Ayres, senior fellow for India, Pakistan and South Asia here at the Council, and Ambassador Robert D. Blackwill, a Henry A. Kissinger senior fellow for U.S. Foreign Policy here also at the Council on Foreign Relations. You have their more detailed biographies in the material that you got for today's meeting, so I think we might as well, in the interest of time, plunge right into the substance of our discussion. And, as a starter, I would like to ask each of the panelists, starting with Alyssa, to say a few words about the recent presidential visit to India, its outcome, and what you think that foretells for the progress of U.S.-India relations. AYRES: So, I think it was a good visit. There has been some criticism that perhaps there was more style than substance, that there weren't any path-breaking announcements made during the course of this visit. And I think that that, in many ways, that that bar is probably too high. In every visit are you going to have path-breaking announcements that take place, like the civil nuclear announcement of 2005? I think that's pretty unlikely. I do think that the important fact of this visit was the invitation itself that Mr. Modi made to President Obama, the first time that an American had been chief guest at India's Republic Day. That in and of itself, I think, was an important shift in the way India is now thinking about its relationship with the United States in the Modi administration. So, being willing to invite the United States, an American president, to be that chief guest. Not being afraid or—or, you know, not wanting to keep the United States at arm's length out of an interest in maintaining a non-alignment position. That, I think, is Modi's big contribution there. So, even before the visit began, I think that piece of it was already something new and different. I do think that there were some important things that came out of the visit that we should all be paying closer attention to. First of all, this release of a declaration of friendship. To me, this kind of rings a little bit like the Indo-U.S.—sorry, the Indo-Soviet Treaty of Friendship. It's not an alliance, but it seems to be an upgrade from describing the relationship as one of strategic partners. So, it's something a little bit different, and something that people have brought attention to. The other piece I would suggest is a little bit different now in a relationship was the release of Joint Strategic Vision on the Asia-Pacific and the Indian Ocean. Much of the content in this document has been similarly released in previous joint statements, but this is a standalone short strategic vision document that describes areas the U.S. and India will be looking to work together in a deeper way across this enormous area of the India Ocean and the Asia-Pacific. And I do think that was significant. So I think it was a good visit. COHEN: Yeah, a lot of the Indian commentators and a few American commentators are saying this has opened up a new chapter in U.S.-Indian relations. If so, then it's a book that has fifty or sixty chapters in it. COHEN: And I'm not sure whether we're part one, or part two, or part three of the book or if they go on forever. So, I don't think there was anything that new in it. I, if—reverting to my professorial history, I'd give it a grade of B, or B+ or B-, I'm not sure which. And my grading system is that if a student writes something that's original, they get an A. If they learned something from the exercise, they get a B. If it's not really—if it's kind of trashy, they get a C or less. So, I think both sides learned something from this exercise. We learn more about the Indians, the Indians learn more about us, we have expectations about the future. But there was nothing in it which really marked a bold departure, a new chapter, unless you want to regard this as a book with many many chapters. I'd say it was good, it was successful, I agree with Alyssa. But I don't think that there was a breakthrough--except that the opportunity now arises in both countries for the leaders to turn to their bureaucracies and say "OK, make some of these things work." And I think that's going to be the difficult thing, both in the United States and in India. NEGROPONTE: Where I teach, everybody expects an A these days. NEGROPONTE: You get a protest if there's a grade anything lower than that. Bob, over to you. BLACKWILL: Thank you, John. I think it was a successful visit, especially in its theatrics. The Indian Republic Day ceremony is the greatest show on earth for those of you who have been privileged enough to see it. And—I think it had an impact, especially in India, where Indians, a billion of them, were watching this interaction, and it had an impact on them. The prime minister went out of his way in several dimensions to emphasize the importance of the visit. He went to the airport and gave the president a big hug at the airport, which is not routine by any means in India. He called the president "Barack" continually. He emphasized the quality of their personal chemistry repeatedly, we'll get into whether that's true or not, probably, but he certainly went out of his way. And, as Alyssa said, the very fact of the invitation for the president to be the guest of honor at Republic Day was important. BLACKWILL: Right, and—actual actions to be implemented are almost entirely absent from the document. So, it was a successful visit in the sense that it had a major impact on the—especially the people of India, much more than ourselves, but—if Steve is right, and I think he is, that the issue is 'well, how is it followed up'. If you look at the communique, it's so general that it's difficult to say exactly where the president or the prime minister would put the major effort in implementation. COHEN: Democracy promotion, I'd say, is all of these, plus more. It's a wide-ranging agenda which has never happened in the past. In a sense we have a lot of interest in common with India. We agree on some of these issues, such as the Indian military should be built up, but whether the Indians can get their act in order is a big question. And, as I said, Modi had fired his—appointed a new defense minister who's likely to be more active as defense minister. But, Indians—Indians in the military and others tell me it's going to take fifteen years or so to modernize the Indian military. NEGROPONTE: Well, did they at this parade, rollout as some countries do in their national day parade, all the military equipment, all the, what, Soviet military equipment they've got? BLACKWILL: So, yeah, the American president saluting the parade of Soviet military equipment. BLACKWILL: But that's changing. That is changing fundamentally, and now there is roughly $9 billion of sales of U.S. military equipment to India and it's—that's going to increase. I see my old friend Doug Feith down here who was present at the creation as we started transforming the defense relationship in 2001—2—late 2001, 2002—and Doug will remember there was zero. And there was just enormous antipathy inside the Indian national security bureaucracy to any U.S. purchases of equipment from the—equipment from the United States. So, that's been an enormous change. But, maybe I'll take—the opportunity to make a controversial point. BLACKWILL: Oh, please, please, chairman. NEGROPONTE:...the issue of how enormous it is? Just to drill down one step further. I recall the first ambassador of this administration leaving India somewhat prematurely, I would say, for a normal ambassadorial course would be three or four years; I think he left after two. And in part, out of great frustration about not having been able to sell aircraft, military aircraft, to the government of India. And I also remember taking a trip with Alyssa Ayres on behalf of the McLarty Associates, and I always remember how people who are advocating for military sales, Americans—to the Indian government were viewed with tremendous suspicion. I mean, it was almost a policy decision for the Indian government to decide whether or not to receive you. NEGROPONTE: So has that gotten better? BLACKWILL: Yeah, well, it's much, much better, and as I say, we're just at the beginning phase of the U.S. defense sales relationship with India. I was going to go on, John, to say that however, and this will be a controversial point—on the question of future of the relationship, and we can get into more detail, but I myself think we're well short of a strategic partnership if that means the two governments collaborating intensively on the major international issues of the day. That's different from a good bilateral relationship which dominates the communiques that were released. And let me just give you a few examples, if I might. Russia/Ukraine—Putin was in India at the end of last year and was saluted by the prime minister, and their communique was filled with phrases like we have this long established relationship and sometimes it's been difficult, but we will stick together, and so forth. So, the Indians will not join us in any criticism of Russia with respect to their behavior in Ukraine, partly because of the defense relationship that you mentioned earlier, and partly because they believe that we're driving the Russians into the arms of the Chinese through our policies in Ukraine. So there's one. Second, Iran. The Indians point out that two years ago, the United States was urging them to rupture their relationship with Iran by joining in ad hoc sanctions, and now point out that the United States is meeting continually with Iran, trying to improve the quality of their relationship. And, in that regard, there are roughly 40 million Shias in India, second largest Shia population in the world, and the Indians are very preoccupied with taking on Iran in that way. Pakistan—Steve has just written a book about this, but there's no meeting of the minds about how to deal with Pakistan and the usual Indian opposition of arms sales to Pakistan by the United States. Afghanistan—the Indians are highly anxious about the affects in Afghanistan in—and the region of U.S. military withdrawal in 2016. Multilateral trade, which you mentioned, if you talk to our trade negotiators, they have to—basically they say they have to put a bark in their teeth when they deal with the Indians on multilateral trade, that they are the—if not the most difficult country in the world to deal with on these multilateral trade issues, certainly among the most difficult. So, you go across these. China, I'm not sure what—the U.S. president and the Indian prime minister talked about for forty-five minutes, according to Peter Baker, about China. But, in any case, so, on all of these issues, there's really quite a large gap between U.S. policy and Indian policy and—so, that's the reason I say no strategic partnership yet, but a strong bilateral relationship. NEGROPONTE: Well, just speaking for myself and reacting to the shorter document that was issued, which I think is perhaps the better document, the U.S.-India Joint Strategic Vision, there is a reference to security and ensuring freedom of navigation and overflight throughout the region, especially the South China Sea, which of course, goes to the issue of China. Alyssa, do you want to comment a bit? AYRES: I do. You know, there's actually a line in that Joint Strategic Vision document that has never been declared before on behalf of the United States government. I do think this a new moment. There is a statement in that document that says the United States welcomes India's interest in APEC membership. This is the first comment that the United States government has ever made regarding Indian interests in APEC. Some of us have been advocating for pulling India into APEC since the moratorium on membership was lifted in 2010. And I think this is a real opportunity if we're looking at what the opportunities could be in the future. I mean, we have a strong and growing trade relationship with India, but I think everybody is well aware it's quite difficult, and it is also very difficult multilaterally. But, there could be some opportunities if we can work with India and pull India into more of these economic groupings where India would be—you know, in part of a mix of other countries that are doing a lot more to open their markets and make it easier to trade. So, I think that was an important moment there. BLACKWILL: Could I chime in, just on that one, John? BLACKWILL: I thought maybe—this is too close a reading, but Alyssa has the phrase exactly right. We welcome their interests, we don't support it. I welcome your interest in coming to my dinner party, but actually you're not going to get invited. BLACKWILL: And—I'm sure the Indians would have preferred that we supported their—and the reason we don't yet do that is because of their various protectionist measures across their economy. So it is—we might not have said that before—Alyssa's an encyclopedia on these matters, but it didn't go very far, I must say, and the Indians are very anxious to have our support and don't yet have it. NEGROPONTE: So, I want to stick with just a couple of the economic issues for a moment with Alyssa, and then I want go back to AfPak, because it seems to me, if we start looking at India's foreign policy, you probably have to start with the immediate neighborhood and then we'll have to talk a little bit about the India-China relationship as it relates to us. But, could you talk a little bit more about economic reform? We all know that that started just after the end of the Cold War. It's moved in fits and starts, but it has moved forward nonetheless. AYRES:...and getting the talks restarted. We've had, sort of, talks begun and stopped for about the last decade. Not because of a bilateral problem in that negotiation, but because we decided, unfortunately for our own domestic reasons in both capitals, to undertake reviews of these templates for these types of treaties, and did so, even more unfortunately, in a consecutive manner. So, the United States did one, and we didn't have any progress. And then, once we finished our review of our own model bilateral investment treaty, then India undertook its own review, which I gather has now just recently been completed. So now that sets the groundwork, sets the stage, for people to have that conversation. NEGROPONTE: So that's a very plausible area for follow up, is it not? AYRES: Plausible area for follow up. I think it's going to be a challenging negotiation for sure, but it does create opportunity in its scenario for follow up, absolutely. BLACKWILL: But—I think that's right, but I would again point out, neither leader committed themselves to this agreement. The language is that the two of them will 'assess prospects for a bilateral investment treaty'. BLACKWILL: It's about as the weakest possible reference to it that one can imagine. BLACKWILL: And I think it's reflective of what Alyssa said, that inside both governments there is high skepticism about whether this can be done. NEGROPONTE: Well, Carla—Carla Hills will relate to this. When President Salinas, and I was ambassador at the time, visited George Herbert Walker Bush in June of 1990, the statement from the White House was—or the joint statement was—that the two sides agreed that they would 'consider the possibility of a free trade agreement'. NEGROPONTE: And it turned out not to just be, you know, some kind of mealy mouth statement. We ended up doing it within the next two years. So, you never know what this kind of verbiage actually masks. COHEN: Perhaps Alyssa could size this issue by telling us what percentage of goods the U.S. imports from India and what percentage of goods we—sell to India. COHEN: In terms of American percentages. AYRES: I—I don't have those stats off the top of my head. COHEN: It's two or three, I think. AYRES: But I could tell you that the level of two way trade in goods and services between the U.S. and India is a little bit under $100 billion, it's around $97 billion. COHEN: In terms of overall U.S. percentage? AYRES: I don't know what that number is. COHEN: I think it's either one or two percent. NEGROPONTE: But it's about a fifth of the level of our trade with China. BLACKWILL: And—and as Alyssa said in another way, the crucial question in U.S.-India trade is the nature and depth and breadth of economic reforms inside India, and whether the Indian government is going to reduce the barriers to FDI and trade, and we don't yet know that. We'll know a lot more when in less than a month a new Indian budget will come out. We'll see how much reform is in it. The Indian business community was largely disappointed in the first budget that was released shortly after Modi became prime minister, but perhaps unfairly disappointed because, after all, he'd just taken office, and so forth. But we'll learn a lot in this next budget about how far and fast the prime minister will go with these fundamental reforms which would, if they take place, give a real boost to U.S. FDI inside India. NEGROPONTE: So, without going back over the entirety of India's internal political situation and how it is that Mr. Modi arrived at the position that he's in, just from the perspective of the prospects for economic reform and an improving trading environment, does he have a stronger mandate for—for economic reform, both domestically and internationally, than any of his recent predecessors? COHEN: I think he does. The problem is, and some of his own advice is, share this knowledge with us, that it may take him one or two administrations to bring about real change. In other words, five to ten years. It's not going to be a quick process. India's lagged behind China so long that reforms have been so half-hearted that you see this as a long-term prospect, which has strategic implications. Because I don't think any Indian wants to challenge its neighbors with a weak and fragile economy. They understand that a peaceful India in South Asia helps economic growth, and I think Modi sees economic growth as his first priority. NEGROPONTE: Because what I hear you saying about the fact that Indian two-way trade with us is a fraction of that with China, to me, suggests a pretty big opportunity out there if the political circumstances are right. AYRES: Right. I agree with that. I think it is opportunity. Just to come back to the question of what Modi's government suggests for economic opportunity and for what he'd like to within his own country, this is the first Indian politician who staked an entire campaign on the concept of economic growth. He didn't campaign on welfare politics. He campaigned on Indian economic growth and good governance. And that is quite significant. It also means that the many hundreds of millions of people who voted for him are going to be looking for that growth to take place. He has been focused on trying to advance economic reform. The first budget did not provide large signals in that way. He has looked to try to advance some legislation, has met some difficulties in the upper house of parliament for unrelated matters, but what he now has done in December is issued a series of ordinances. Now, those are not lasting, durable laws or policy statements in the way that an executive order in the United States would be. These expire after a certain period, after the end of the next parliamentary session. And so, either parliament needs to pass these series of ordinances, or perhaps he reissues them. But, I think it does provide a signal of the priority that he has placed on economic growth and reform as the vehicle to do that, and the importance that economic issues and an international economic policy has for delivering Indian growth. That's been his primary focus in all of his encounters around the world with the major powers. He's focused on FDI, you know, telling his story and his vision for reform in India, and how other countries around the world can help deliver that growth. NEGROPONTE: So, this would tell me that he ought to be more interested in a bilateral investment treaty than some of his predecessors. NEGROPONTE: Is that fair? So that's—yeah. So, we can't really have this conversation without talking a little about the immediate neighborhood, and Afghanistan and Pakistan. And so, Steve, would you like to just talk a little bit about—perhaps the India-Pakistan relationship. The—India's role in Afghanistan and how does this triangular conundrum—how might it work itself out over time? Or what are the prospects? COHEN: Both in India and Pakistan they're watching the American withdrawal from Afghanistan very carefully, because they assume that this will again affect their relationship with each other and with the United States. Indians have been disappointed in the past that there was no coherent larger American policy over Afghanistan. We had a—we had a narrow policy towards Afghanistan which involved Pakistan. They wanted to be part of Afghanistan. They regard Afghanistan as within the natural sphere of influence from the Raj. When the Raj disappeared, the strategic unity of South Asia was divided between India and Pakistan. The Indians claim that they still have an interest in Afghanistan. Now I think that they're working on their own. They're not trying to challenge Pakistan and Afghanistan, but they're doing a lot of civilian investments. And we—our policy's been sort of schizophrenic. CENTCOM has criticized them for involvement in Afghanistan, where as PACOM has supported their involvement in Afghanistan. COHEN: We can't make up our own mind as to whether we want the Indians in or out. NEGROPONTE: Neither of whom make U.S. policy towards the region. COHEN: CENTCOM did. But, I think that in a sense the Indians for a long time just assumed Pakistan would disappear. They were sort of doing their best to push it over the cliff. But after Pakistan went nuclear in a major way, they have more nuclear weapons than the Indians probably have, I think most Indians—Indians understand this is not something they can play around with it. A collapsed Pakistan would be bad for them. So, there's actually a natural shared interest between India, the United States and even China, to in a sense keep Pakistan alive, but the Indians don't want Pakistan so much alive that they can challenge India. So, it's very much like the Americans and the Soviets during the Cold War. Nuclear weapons make all out war impossible, but they allow other kinds of activities to go on. And that's where the communique was important, because it explicitly criticized—implicitly criticized Pakistan for supporting terrorism in India. NEGROPONTE: Yeah, there was back channel discussions between—composite dialogue, I think it was called—between India—Pakistan and India. Is there anything like that going on right now? ...between India-Pakistan. In fact, I think that if you argue that it's going to—it's around the corner, you're deluding yourself. What is more likely is a collapsed Pakistan which worries everybody. Or else things continue on the way they are. So I'm not—I don't—I think—I'm glad Obama didn't raise Kashmir. But he should have raised Afghanistan, in a sense, that's where the Indians and the Pakistanis have shared interest—a stable Afghanistan. But I don't—I don't know if that was part of the conversation. BLACKWILL: John, it's generally believed that Modi has a tougher view on Pakistan than his predecessors. There's been shelling up north from the line of control, as you know, and it is said that he told the military give them ten times better than you get and I think there's no sign yet—we may have gone past the opportunity for any kind of rapprochement between the two governments. For one thing the Indians are convinced that civilians at the top of the Pakistan government have no effect on Pakistan's security policy. So it's really a waste of time to talk to them about that. There was a little bubble of perhaps something could be done on trade, but that's really not—not—not happening. I'd just say one last thing on Afghanistan, what's interesting about the communique—and Pakistan—the communique explicitly condemns the terrorist behavior of Lashkar-e-Taiba and Jaish-e-Mohammad, you are familiar with these, the Haqqani network, but does not mention the Afghan Taliban. That's rather odd and I don't know if that's connected to the administration's unwillingness to call the Afghan Taliban a terrorist organization, or rather insisting that it's an armed insurgency. But in any case, I think that's a rather striking omission since they're the ones who are fighting us inside Afghanistan and are killing Americans. I thought that was perhaps noteworthy. One last point, the American withdrawal from Afghanistan, first dramatic reduction in the number of troops and their prospective withdrawal, has led India to intensify dramatically its interaction with the neighbors who will be around to help manage the future of Afghanistan. So that's with the Iranians, the Russians, the Chinese—all intense bilateral conversations going on within the central Asians, trying to create an architecture through which they can affect the future of Afghanistan without the Americans. NEGROPONTE: One related question I'd like to ask you about particular since—for me, I've a very vivid memory as deputy secretary of state going over to Delhi, just in the wake of the Mumbai bombings and the extraordinary difficulty to get any kind of information sharing going with regard to these incidents. It got to the point frankly—I mean—between India and Pakistan, I think there was hardly any, and I doubt there's much more if any now, but in the end we sort of had to have FBI people on each side, in each capital, sort of playing this midwife role of brokering what exchanges of information we could. And if I remember correctly, the incident in Mumbai also revealed considerable weakness on the part of India in coping with these terrorist activities. Has that improved in India to any of your understanding? And is it an area we cooperate with them on, in training their anti—counterterrorist people? AYRES: I can answer part of that and I think Ambassador Blackwill might also have more to add just in—so in terms of U.S.-India information sharing, it's my understanding that has increased quite dramatically. We have a level of cooperation. There's a formal homeland security dialogue that meets, it has several different working groups that—that confer on an ongoing basis on issues like megacity policing, port protection. I mean the kinds of things that would have been important to have this kind of cooperation on in a crisis like the Mumbai attacks. What the Indian response was criticized for within India was the response time in getting commandos down to get on the scene in Mumbai. And there hasn't been an event, thank heaven, and hope that there should not be another one, to sort of test that proposition, but in the wake of Mumbai, the government of India has stood up a national investigative agency and sort of tried to consolidate their ability to have national intelligence sharing and work nationally among all the different state police. So internally that has improved, I believe, although not tested in the same type of an event. And certainly the U.S.-India conversation on counterterror and homeland security protection has dramatically improved. We have joint exercises, you know. The gatherings of police from different departments with Indian police who work together and talk about how do you handle this kind of an attack in a city where you've got huge population centers, or you know, metro or subways or train stations to try to protect. That has become an important area of cooperation. NEGROPONTE: Well, let's ask the unthinkable question. What happens if there's another Mumbai attack? What will the Indian response be? They, I think, showed restraint the first time around. Would this mean war? COHEN: I think that if—based on what he said and I think based on the Indian public sentiment, if there was another Mumbai attack, which I don't think it's going to be that likely, it may be something quite different. There will be a vigorous Indian response. Perhaps even direct attacks on Pakistani territory, hitting camps. But there's a whole variety of contingencies that could happen and we're not quite sure that another Mumbai attack will look like a Mumbai attack. It may be done through cutouts. It may be disguised. Or there may well be an incident triggered from India. You know the Indian militant wing has actually done some of this itself, not necessarily in Pakistan, but against Indian Muslims. So we don't know—I don't think we should start projecting reactions until we have more evidence about what the next event is going to be like. NEGROPONTE: Yeah, it's just—it's sort of a nightmare scenario, isn't it? BLACKWILL: Well, I'm not sure we may be awake when it happens. Every Indian prime minister since the attack on the parliament in Delhi now heading on fifteen years ago has looked seriously at a military response when these incidents occur and has stepped back. But I believe that sentiment inside India has changed substantially and I think this prime minister is, as Steve said, unlikely to step back. If there is a major terrorist attack whose breadcrumbs lead to Pakistan and the Pakistan military and ISI, I think that this prime minister is likely to use military force against Pakistan territory. It's not a certainty. His predecessors have been briefed by the Indian military on options and have never found them attractive and have asked the question, 'yeah but what about day two and day three and the escalatory dangers'. But I think Modi, both as a personality and reflecting Indian public opinion and political sentiment across the society will be much more likely to use military force than his predecessors. Now how that might be applied is another matter. To try to diminish the likelihood of escalation between two nuclear weapon states, but hopefully the Pakistanis understand—and Steve could speak to this better than I—that their behavior in the past is unlikely to be tolerable to this Indian prime minister. NEGROPONTE: Not very credible really. COHEN: Well, someone, at least in one or two cases—I think, I think the Indians will respond militarily but in such a way that it doesn't force the Pakistani to escalate again. This is conjecture. This is again like U.S. and the Soviet competition. NEGROPONTE: Yeah. We have just a few more minutes of discussion between us and then we turn it over—open it up for questions. But I wanted to ask about the relationship with China. India's—I mean this is a big relationship for important—they've got unresolved border disputes. They fought a war in 1962. So where does that stand at the moment and to what extent is their concern about China a feature in their relationship with us? BLACKWILL: They are concerned about China, but I would put it in this context—I think Modi foreign policy is carefully, carefully formulated and implemented with—as Alyssa said earlier—the prime preoccupation in every foreign relationship of how that relationship can contribute to Indian domestic economic growth. That's number one on Modi's list. That's number five on Modi's list. That's number ten on Modi's list. And it applies to China as much as it does to the United States. So the way I think about it is that these bilateral relationships are like stovepipes and—and Modi is trying to strengthen each of those stovepipes, each of those bilateral relationships to contribute to Indian economic growth, and therefore, he will avoid as much as he can, having U.S.-China differences infect China's relationship with either the United States— sorry, India's relationship—with either the United States or China. He will try to have good relations with both Iran and with the United States, not letting the differences between the United States and Iran contaminate India's relationship with them and the same with Russia and—and so forth. I close with this, for those who are enamored with the importance of the invitation of the president to go to the Republic Day ceremony, I wonder if you would think this represents a tilt if next year's guest at the ceremony is Xi Jinping? Because that would not be surprising at all given, as I say, Modi's preoccupation with keeping China's economic incentives to contribute to Indian domestic growth, unaffected by their concern, their long term strategic concern, about the rise of Chinese power. One last point, I want to reaffirm something that Steve said. It sounds like that state department communique. It's this: if you talk to the leaders of the Indian government, they say that 'give us time to renew our domestic economic strength', because that is a strategic requirement to successful Indian power projection in the region and beyond. And then I say, how long do you need? And five to ten years to strengthen the Indian economy, sufficient to have a robust power projection. And I say, will the international environment give you ten years in order to renew your strength before you have to make choices? And they say, we hope so. NEGROPONTE: Excellent question. China started its reforms in '78-'79 and now look where they are. COHEN: Let me add a footnote to that, I agree with the way in which Ambassador Blackwill put it, China's a nuclear weapons state. India's a nuclear weapons state. Pakistan is a nuclear weapons state. All these countries are hedging against each other. And one reason they're hedging is that they don't want to see a conflict between themselves escalate to a dangerous point. The Indians have the additional need of having economic growth, a period of calm and economic growth. The one country they don't have a good relationship—a balanced relationship with—is Pakistan. There the economic relationship is irrelevant, but China is important. So the Indians want to see the Chinese relationship grow. They want to make money off the Chinese and vice versa. But again the nuclear weapons provides sort of an umbrella or limits to how high—how large conflict can be between any of these countries as long as they remain same. Kenneth Waltz's argument basically holds true here. NEGROPONTE: So before going to questions, one—from the other participants—one last one—climate change. China I think has overtaken us as the largest emitter of greenhouse gases. We're number two and India, as I understand, is number three and we've all been saying their economy has a long way to grow, so what's happening in the area of cooperation between us and them on this whole issue--global issue? NEGROPONTE: So not as much as came out of China, right. AYRES:...out of China, right. India has been very clear that they feel that they're not prepared to make an agreement with the United States or internationally, that would be legally binding on emissions. So that has remained an area where we're some poles apart. On the other hand, what I would say is taking advantage of the scientific talents in India and kind of spirit of innovation, the breakaway area between the United States and India bilaterally has actually been in clean energy research development collaboration. And that's an area that Indian officials like to emphasize, you know, perhaps they can leap frog to the next stage. We've got sort of joint research centers working in tandem, consortiums of the national labs and Indian institutions on solar, biofuels, energy efficiency, building efficiency, so you kind of look at that space and that's were a lot is happening. But the multilateral conversation in capping emissions—that is not moving ahead. BLACKWILL: Just to say there's—I think Alyssa's got it exactly right. There's virtually no multilateral collaboration between United States and India in the context of the Paris meeting and negotiations. There's no there, there. But Modi was asked in his press conference with the president, "do you feel pressure to reach agreement with the United States because of the agreement between the United States and China?" Exactly your question, John. And he said, "No I feel no pressure because of that, but I feel great pressure from the people of India, to improve, to deal with climate in the context of India." And he has, perhaps some of you know, a very long history of preoccupation going all the way back to ten years ago in Gujarat. He wrote a book about unconventional energy development and solar and so forth. So he's very interested in these. So I think we'll see movements inside India in response to Indian domestic political pressure. The pressure of the citizenry. But they will be very difficult in any international agreement and I don't expect the position that Alyssa described to change very much. NEGROPONTE: So now we've reached the point where we'd like to invite members to join in the discussion. Please wait for the microphone and speak directly into it. Please stand. If you have a question, state your name and affiliation and try to keep your questions and comments concise to allow as many attendees to participate as possible. And don't forget this session is on the record. QUESTION: Larry Korb from the Center for American Progress. I wonder if you could discuss the nuclear deal we made with India back in 2008, because in my dealings with Iran, they always say, "well, you recognized India." And of course, it's been mentioned here, the Indians basically buy a lot of oil from Iran and when I ask them about it, they say, well, we have—you mentioned 40 million, you know, Shias - that's why we do it. It seems to me that they got much better on that deal than we did. BLACKWILL: I think it depends on short verses long term. 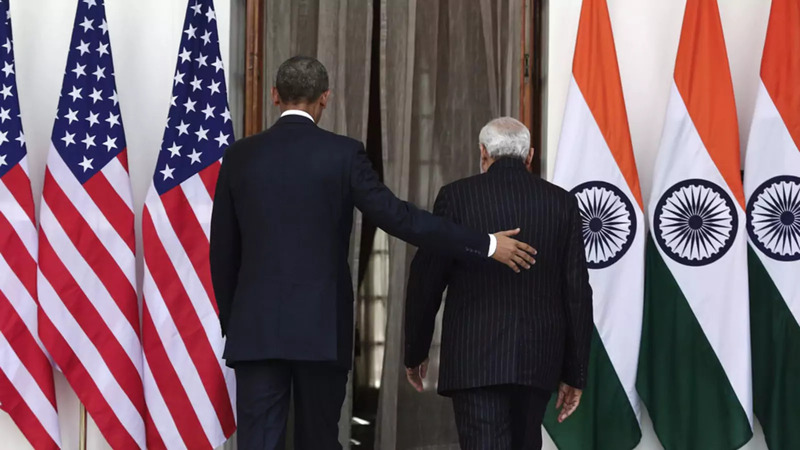 The consequence of the U.S.-India nuclear deal which began percolating in 2001-2002, was to transform the way the Indians thought of the United States as a potential long-term partner. And it was the lodestone of that development and you can see a linear line between that and this summit we've been talking about. We remember that India was the only democracy for three decades with which the United States didn't have good relations. So it transformed that part of the relationship. Some—and Larry, your question is implicit in this or maybe even explicit—some Americans have been disappointed about the benefits and I think if you expected, if one expected that there would be immediate epiphanies across the Indian bureaucracy with respect to what the Americans want you'd be disappointed. As Indians will tell you, nothing changes quickly in India. So you're going to—if you expect quick change you're going to be disappointed. But it was the crucial element in this evolution to the bilateral relationship and I myself, therefore, think it was strategically smart thing for the United States to do in the context of the rise of Chinese power. But as we've discussed the Indians are not going to join the United States in any policies which weaken the likelihood of Chinese contribution to the Indian domestic economy, unless there's really reckless behavior on the part of Beijing. NEGROPONTE: There's a question in the back. AYRES: Can I just add to that? NEGROPONTE: And then the lady in the back. AYRES: Two quick points. First of all, India and Iran are very different. India never signed the NPT and Iran did. So those are kind of separate statuses and separate questions. But on the larger question of was there any benefit to the United States doing the civil nuclear deal with India, I mean, I would certainly argue that there absolutely has been. One of the arguments that was made by everybody working on the nuclear deal was that in fact it would be much better to have India inside the nonproliferation tent than out of it. And if you look at what's happened since then, India has gone ahead and harmonized its export controls with the NSG, with the missile technology control regime. They've either completed or in the process of doing that with the Wassenaar Arrangement and the Australia Group. This would have been unthinkable fifteen years ago. It's a big change. So if you look at that long eleven-page document, you know, the joint statement, you'll see reference to the four nonproliferation regimes they're on. I think that's an important change. I absolutely think this deal was worth it. QUESTION: Hi, Paula Stern, Stern Group. I'd like to ask you to address what structural changes economically are most important and should be used as metrics for measuring whether the economic growth that Modi is trying to get will come about. I understand that we have—think in five and ten year terms, but the only kind of growth promise in the world besides the United States, now that China has slowed down, is really coming from the possibilities of India. But I'd like you to just tell us what we should look for, the top three things in—that would move the needle most by Modi and what it will take to move those needles. COHEN: I'm not an economist, but I would say from his perspective the key metric is the reaction of the Indian population to what happens over the next four or five years. That is the elections and by-elections in India. Will the Indian electorate hold him accountable for the promises he's made or not? If he fails at this reform, they will - they will - they will reduce his majority and essentially vote him out of office. He's got to meet that test first of all. That's probably more important than any American test or any corporate test. But how you get there is something I'll let Alyssa deal with or others. AYRES: Just a couple thoughts, I mean, I think, you know, the metric of economic growth itself is the best metric to look at and that already is ticking up. I mean, Indian growth had reached 10% by 2010 or so and then dipped sharply. So by 2013, it was even below five percent. Now that has begun to tick up. There's been in fact market euphoria since Modi's election, which is sort of a separate metric you could be looking at, but an important one. And the World Bank, a couple of weeks ago, released their newest estimates for economic growth and what would be happening in the next couple of years, and so they're estimating that India's going to be getting up over 7% next year, may even overtake China the following year, in part due to slowing growth in China. I mean I think those estimates of course are estimates, but they do tell a story that looks like one of an uptick in growth. Modi has been very focused in trying to get reforms in place that will accelerate that. A couple of the ordinances that he pushed through in December would look to do that. So I mean the big thing that people will be looking at now is what's contained in the budget that will be released in February. So that will provide I think more opportunity to take a look at how he'll be looking to handle what the government does to shape reform and possibilities of disinvestment to get the economy going faster. NEGROPONTE: There was a question over here, yes, and then Mr. Feith. QUESTION: I hope it's OK for very senior citizens to ask a question, sitting. So, thank you. I am Amitai Etzioni, George Washington University. I want to go back to the nuclear deal, above all I'm interested—so what happened in this recent visit about the nuclear deal. But if you look at the report done for the Council on Foreign Relations by Charles Ferguson and his article in Arms Control Today and others—a lot of questions are being raised about that deal. If India is not going to help us contain China, if it does accelerate putting Pakistan into China's arms, if it accelerates the nuclear military program of Pakistan, if it allowed him to release uranium from the civil side to the military side, was it a good deal and did the visit accelerate it? BLACKWILL: …I mean at least the facts that you expressed. QUESTION: I cite the Council on Foreign Relations. BLACKWILL: Well, nothing could be more dangerous. But in any case, let me just say, you know Harold Brown once said about the Soviet Union and their military buildup, "When we build, they build. When we don't build, they build." I don't think that you can blame India for Pakistan's military modernization which, by the way, is pretty slow in any case. The constraints on their shifting fissile material from their civil to their military, I won't get into the details, but they don't need to do that. The Indian nuclear weapons program is very slow in its development, so—in terms of deployed weapons and fissile materials. So I don't think that. But I think the question which you raised, which is a proper to go on debating is how much was the NPT regime damaged by this extraordinary exception granted to India. My argument is, not much. Do you think if we hadn't done that, the Iranians would have slowed their nuclear weapons program and so forth? I did basically think they're disconnected. So I return to my point from a minute ago, which is that, it depends when you say, which—you're quoting someone else, that China—India won't be with the United States in a context in which China becomes much more aggressive in its behavior in Asia. I believe that's wrong. I think for their own reasons, the Indians will be with the United States if that were to happen. Like ourselves, they'll try to shape Chinese policy so it doesn't happen. But if we get to that point the combination of national interests and values—democratic values, India will be on our side in the long run with respect to the rise of Chinese power. So as I say, if those—I haven't read the document that you're describing, but, I think that those assertions in the document are wholly wrong. QUESTION: Doug Feith, Hudson Institute. Bob Blackwill said that we do not have a strategic partnership now with India. And I'm wondering if you would make a judgment about recent history and if you could kind of graph the seriousness of the strategic partnership or the quality of the strategic partnership over the last—whatever—fifteen, twenty years. Are we more, or less, close on these strategic issues with India has there been much motion, or is it basically just a flat line? BLACKWILL: Here's what I think has happened. After the nuclear deal that we were discussing earlier, both governments were highly preoccupied, and Doug will remember this in particular, with the rise of Chinese power. And we had an intimate discussion with the government, the Vajpayee government and especially with Brajesh Mishra who was his national security advisor, (inaudible) will remember this too, and chief of staff, about the rise of Chinese power. What happened then I think is two things—one is, the BJP lost power and was replaced of course by a government that was in its bones unsympathetic to a strategic relationship with the United States and was in power for ten years. And I think that the advent of the Obama administration, which did not put a high priority on the relationship with India, at least for the first six years of its time in office. So what happened in both bureaucracies was a reverse into the default position. With a lack of leadership at the top, the Indian bureaucracy which has lots of elements of anti-Americanism in it to this day, which by the way is largely generational—it's the fifty-five year olds, not the thirty-five year olds who feel like that—and on the U.S. side, a resurgence of what I've called the nuclear ayatollahs in the U.S. government who never liked the agreement and the nuclear agreement and continue to resist it to this day. So I think what happened was, we had expectations, we had some intimacy, but then, a lack of attention from the top and preoccupation. The bureaucracies took over. Question now as we look forward, is how much will this visit that we just had animate the two governments to revive the relationship? And by the way, it's interesting the communique talks about reinvigorating—just interesting because it's an admission in the language of the document that it needs reinvigoration. I myself don't think much will happen in the next couple of years on the U.S. side, to do that. We'll see beyond that, but I do want to make one last point, which is, I think that there is more animation in the relationship now which is all to the good, and it's almost entirely a function of Modi. Modi came into office and said to his closest advisors, forget the fact that they wouldn't give me a visa, forget the problem with the consular officer in New York. The relationship with the United States is important. He came to the U.S. and basically for the U.N. and basically said, "Here I am if you wish to invite me to Washington." He didn't put it so coarsely, but he was invited. He then invited the president to India, so the energy—and the president responded quickly—good for him—within twenty-four hours. But I think that the energy has been almost entirely at the top on the Indian side in ways we've been discussing. I don't expect however, and it's back to a point so you may—I don't think that this administrations with all the other challenges that it faces internationally, is going to wake up every morning, which one would have to do, and say 'how can we implement the various general statements of the communique. How can we loosen technology constraints on military sales to India', and so forth. And Doug, again, you'll know this better than virtually anybody, in order to get those constraints loosened, you have to have someone at the top every day pushing that, which is what happened with the nuclear agreement. And I don't think that's going to happen given events elsewhere in the world. So, strong bilateral relationship, but I don't expect the strategic dimension of the relationship to change very much from the present, which is as I say, not robust, to put it mildly. NEGROPONTE: You want to make a comment, Steve. COHEN: I'd perhaps put that in different language. I'd add that the U.S. is a global power which has strategic interests around the world and is a regional power—an aspiring regional power. It's not unsurprising that we see things differently. I think the best statement of this was by former ambassador Anuraj Shankar up at Harvard, we say—you know we come from different places, but even though that is true, we still have a lot in common. I think we're working out these strategic differences. Our policy historically was steered by our Soviet policy, by our Afghanistan policy, by our Pakistan policy, and for a brief while by our non-proliferation policy, never by our India policy. That's never predominated in—U.S.-India relations. NEGROPONTE: Mitzi, you had a question. QUESTION: I want to thank you all this has been a fascinating hour. I'm Mitzi Wortheim with the Naval Post Graduate School. I'm a social anthropologist by training, but I've spent thirty-eight years with the Defense Department which loves to count things. Last fall, the chief of Naval Operations said the most important things now are relationships, listening, understanding and trust. Those things are very hard to count, but that's what I heard you folks saying and yet in a sense the president was criticized because they didn't have anything to count. Relationships take a long time to build and in a sense I got an explanation just now from Steve as to why it's so hard to do it, not that I didn't understand. But I guess my question is, how do you communicate that to the public, how hard it is and how important it is, so we don't keep saying, "So what's the score out of this last meeting?" NEGROPONTE: So the title of this meeting is—what is it? What do to about India? Which I think is a bit of an odd title, but in any case, I guess my answer to you would be, "take it seriously". I mean that's the broad strategic answer and then I think all the rest of the discussion is how do you go about that? Take it seriously and I think the president going there two times which is somewhat—it's unprecedented, right? QUESTION: Hi, I'm Kabir, I'm with the Voice of America radio. With the newer relationship between the United States and India, and more specifically with Modi regime—the countries in Asia-Pacific or the Indian Ocean region, in particular countries like Bangladesh, will there be any effect on bilateral relations between India and these countries other than Pakistan and Afghanistan and in this connection I'd like to recollect that some time bad before Modi took over the U.S. ambassador in Bangladesh Dan Mozena flew into New Delhi to talk with—to discuss things with the then-U.S. ambassador in India and some quarters in India didn't like, some quarters in Bangladesh didn't like it and Bangladesh people thought that India was trying to interfere in Bangladeshi affairs and stuff like that. Would you like to discuss this please? Thank you. AYRES: And I can take that if nobody else—I think you probably wouldn't be surprised if I said that Bangladesh often feels that India is trying to interfere in its affairs, so I don't think there's anything particularly new about that complaint. Do I think there will be any new implications for Bangladesh from the Modi government? It's been very interesting to see this transition from the UPA to the Modi government. And in many ways, what Modi is looking to do in India's relationship with Bangladesh is exactly what the previous Indian government was trying to do. Trying to stabilize and expand to those ties. Create a kind of broader area of economic connectivity. Bangladesh is the key to connectivity—land connectivity—in India's northeast states and also straight through to Southeast Asia connecting the rail links that would lead down through Myanmar and beyond. The UPA government tried to do this, as I'm sure you are well aware, faced problems in parliament getting agreements through that had already been negotiated with the government of Bangladesh. The land boundary agreement, the Teesta water sharing, very important things that Bangladesh is fully prepared to do and in the case of the land boundary agreement had passed in 1974, so it was sort of a long legacy issue. And Modi has stepped up and said, you know this is really important. If we want to have a secure space, a region economic connectivity that allows this entire South Asian region to grow, Bangladesh is going to be really important to that. So he has gone ahead, worked hard. It looks like the land boundary agreement is likely to pass—I certainly hope so—in perhaps the next session of parliament. So it looks very very positive for that relationship. I think that's a very promising area. India looking east and now acting east. Bangladesh is also a key to that, you know—having that part of land connectivity all the way through to the land of Southeast Asia is just crucial and so I think that is likely to happen. Perhaps not tomorrow, but certainly in the course of the next year or the next couple of years. NEGROPONTE: So what's the name of the regional organization, it's SAARC, is it? NEGROPONTE: So compare that in terms of its level of development in intensity to the ASEAN group for example. COHEN: Because the Indians and the Pakistanis can't cooperate, SAARC is dead, basically. NEGROPONTE: That's the most encouraging statement I've heard. I'm sorry I asked that question. NEGROPONTE: One last question in the back there. QUESTION: Thank you. Scott Moore, International Affairs Fellow here with the Council. The irony of course underlying the comedy of the presidential visit is that Modi was denied a visa because of his—the anti-Muslim riots that occurred during his tenure as C.M. of Gujarat. What's the future of Hindu nationalism under and after Modi's premiership. Thank you. BLACKWILL: The future of what? BLACKWILL: Hindu nationalism. What is internationalism? BLACKWILL: Oh, you're doing BJP and Shiv Sena and so forth, is that the question? Well, this is being debated inside India, of is this a Hindu country which has a 170 million Muslims. And so far, the prime minister's essentially tried to stay out of that debate, but he's obviously got a political management issue because there are important constituents within close to the BJP who have the view that India is—should be solely a Hindu country. But so far he's—he hasn't really entered into any major way, that debate and it'll be a long-term challenge for his government—indeed for the society, of what is the future of the treatment of Muslims inside India—and the role of—the unitary preoccupation of Hinduism among some of the more traditional supporters of BJP government. This is—again will be a long long-term challenge for that society which governments have shrunk from dealing with really directly and we'll see what he tries to do about it over what he regards as the inevitability of at least ten years in office and probably longer. COHEN: I would—I would regard Obama's lecturing the Indians on religious tolerance as probably misplaced. On the other hand, Indians take every opportunity to lecture us on democracy, so maybe it was paying back. But I think the crucial thing about Modi is that he's from Gujarat. Gujaratis of all the Indians really travel the most. Fifty percent of Indian-Americans are from Gujarat. So in a sense he had an international vision to begin with, and that's one reason he was operating in East Asia with the Japanese and the Chinese. So I think that from his personal perspective, he sees operating in the world as natural. And the nationalist—Hindu nationalist crowd—is sort of a troublesome group which gave him a lot of problems. But I think his political strategy would be to manage them. They would be like the Tea Party of India. Manage them so he can govern. And whether, whether—I think he's able to do that, first signs are good. But he has a global international orientation despite his seemingly provincial Gujarati background. Actually Mahatma Gandhi is one of his—he talks about Gandhi all the time—Mahatma Gandhi—all the time. Gandhi was an internationalist in that sense (inaudible). NEGROPONTE: So, so when the embassy—it's interesting because I was going to raise the issue with Gujarat and Modi as the first question and that's come up as the last one. I thought better of it and we had a good talk about the outcomes of the presidential meeting. But when David Mulford made a statement on March 21, 2005 about denying Modi a visa, he talked about the government of Gujarat which had been found by two different commissions, two different organizations of ours, the Human Rights Report and the International Religious Freedom Report. And they stated it was "a comprehensive failure on the part of the state government to control the persistent violations of rights of life, liberty, equality, the dignity of the people of the state." So is he better than that now? BLACKWILL: Well, can I chime in here? I put aside the statements of American human rights organizations on behavior of others in the world. The Indian juridical process has looked extensively at Modi's behavior and that of the Gujarat government in 2002 during the riots, and has not found any evidence consistent with those assertions. Now, of course, we Americans often think that our processes and conclusions should trump anybody else's, but I do think that it's noteworthy that the Indians themselves through their democratic processes have come to a quite different view. But secondly, I could get—if I may personalize this for a moment—I received instructions in 2002 to go out and protest the Indian government behavior in—the state government behavior and indeed the national government behavior—with respect to the riots in Gujarat, and I refused. And I said, I didn't think—back to Steve's point—that it would be helpful for the United States to be lecturing a fellow democracy which had its own processes with dealing with these matters. And so, in India, we did not criticize the Indian government in that—during that episode. Of course the State Department spokesman criticized them daily on the basis of our clear and abiding moral superiority. But I think that's the past. I do think it's the past. There are few members—isolated members of Congress—who wake up in the morning and want to do something about it. But that's, I think, trivial now. And it may exemplify a larger point which Steve implicitly made, that usually when we criticize in such a way, especially our fellow democracies, it's counterproductive. And I think, John you said earlier, before we got in here, you had something of a similar experience in your long and distinguished diplomatic career. NEGROPONTE: So, thanks. On that note, obviously President Obama thinks it's past, too, having gone there twice in recent times. I just would like for you all to express your appreciation for a very good panel. (APPLAUSE) Thank you.